Developed, tested and refined for maximum audience impact in Every Situation! 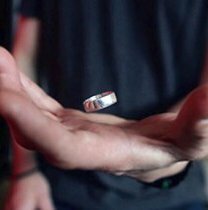 Visual Copper Silver Brass: Unbelievable final phase where the coins transpose even with your hands open! 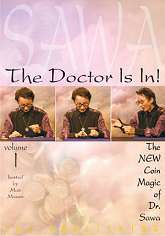 When Dr. Sawa burst onto the magic scene back in the 1970s, he caused an international sensation. Bundled together this set includes Mirage Et Trois by Eric Jones DVD and An Extension of Me by Eric Jones DVD set with gimmick coin bonus. 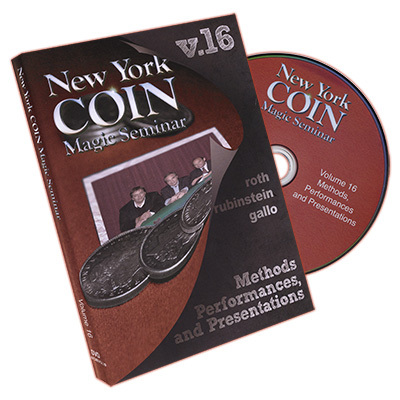 This coin magic DVD showcases three classic routines that have been put together by Austin, Texas professional magician CODY FISHER. The routines presented are incredible handlings of three classics. 1 - A copper/silver routine. 2 - A coins across routine. 3 - A copper/silver/brass routine. 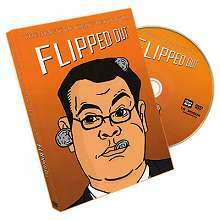 BONUS: Buy all 3 volumes and we'll send you 4 brand new kennedy half dollars for free. These coins are fresh from the US Mint. These just might be the best coin tapes ever made! 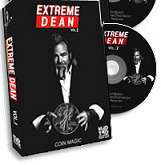 These videos have been sought after by magicians for years and L&L Publishing is proud to re-release this series originally produced by Videonics of Canada. 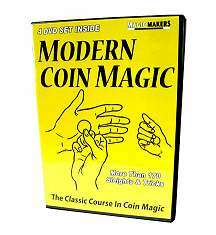 Modern Coin Magic is one of the greatest books on Coin Magic ever printed. 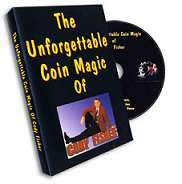 Now you can watch, in wonder and amazement as the most incredible sleights and tricks with coins are taught on DVD. 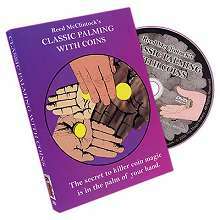 This 4 DVD Set is OVERLOADED with more than 170+ sleights and trick using coins! Michael Bairefoot's magic is second to none! The Ultimate Coin In The Balloon will amaze your audience every time! 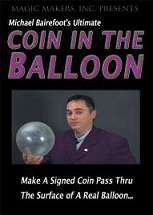 Learn step by step how to perform the illusion of making a signed coin pass thru the surface of a real balloon! 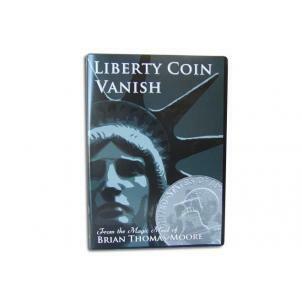 From the magic mind of Brian Thomas Moore, Magic Makers brings you an amazing coin vanishing effect, the Liberty Coin Vanish. 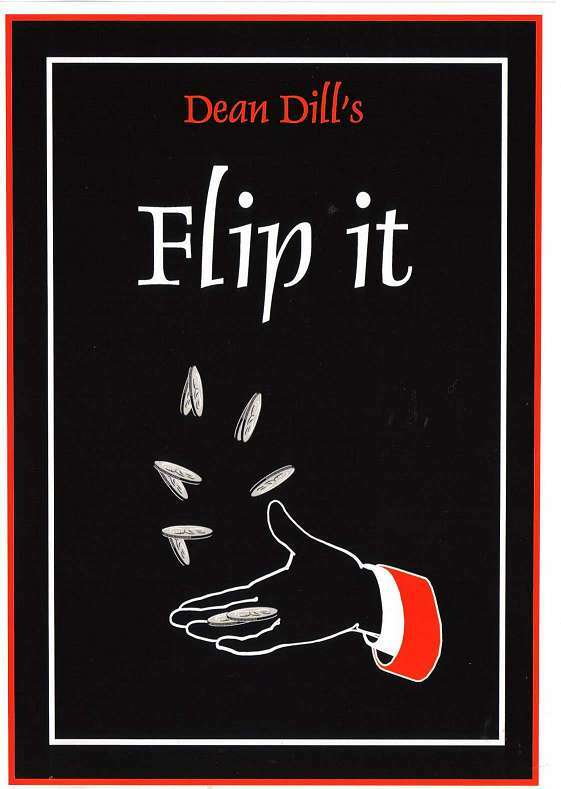 Brian will show you his completely original coin effect that is visually stunning! 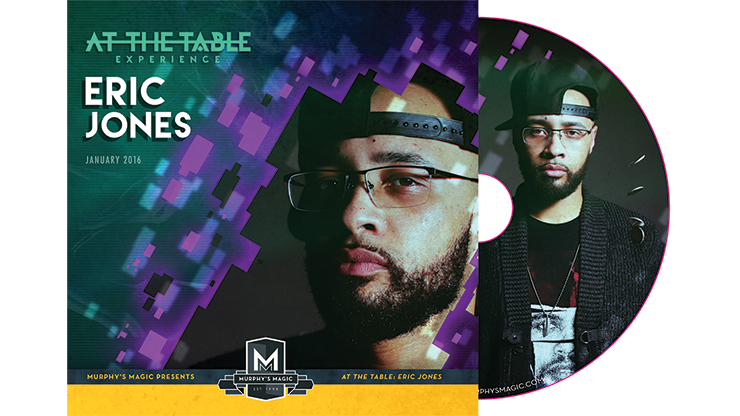 This effect is easy to learn with step-by-step instructions from the creator himself. Do you love the Hundred Dollar Bill Switch, but find the folding and unfolding process to be a bit slow and sluggish? 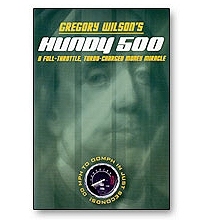 Wait until you experience the Formula One speed of Gregory Wilson's Hundy 500! 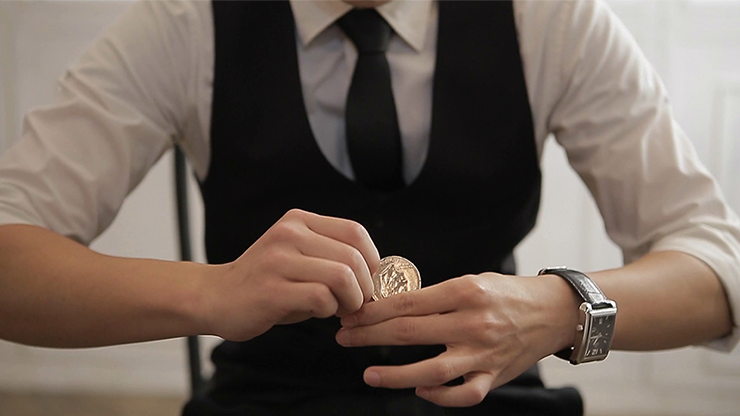 An extraordinary collection of tricks using coins and currency. Imagine entertaining an audience with ordinary money. These superb videos are someof the best values in magic. 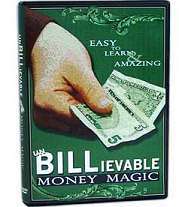 Do you want to learn amazing magic with money? 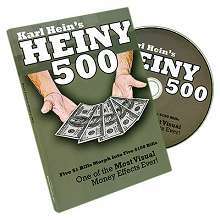 Everything is revealed step-by-step on this instructional DVD. Indulge in a selection of top money effects that have even fooled some of the best in magic! 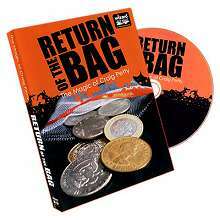 Brian Thomas Moore will take you on your journey into learning magic with money! "Great! His moves are totally invisible, natural and very deceptive!" 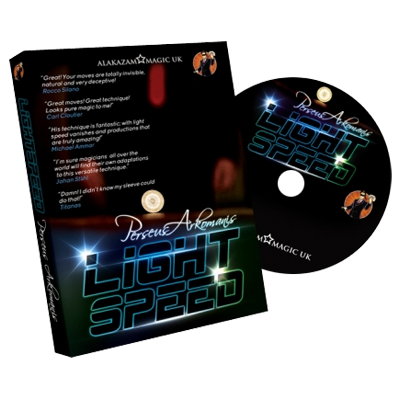 "His technique is fantastic; with light speed vanishes and productions that are truly amazing!" "Great moves! Great technique! Looks pure magic to me!" Stop for a moment and think about just how powerful that image was. One of the most visual money effects ever as five $1 dollar bills morph into 5 $100 dollar bills! 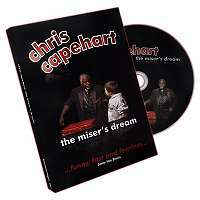 The Misers Dream along with Coins Across, Continuous Coins, One in the Hand and Two in the Pocket and the Total Vanish are the tricks you will learn on this dvd.